David Abreu’s 2005s are in a sweet spot today. They are also absolutely gorgeous. The tannins have softened enough for the wines to be approachable, but the 2005s also have enough depth to drink for another 10-15 years, maybe more. Abreu’s long-time winemaker Brad Grimes describes 2005 as a year with high yields that require considerable thinning in the field. Two thousand five was also the first vintage the wines were made with more whole berry fermentation than in the past. Perhaps those are some of the reasons the 2005s come across as a bit light by Abreu standards. That is not really a criticism, but more of an observation. Certainly the 2001s and 2002s were much more forbiddingly tannic at age ten than the 2005s. If I had to compare 2005 to a recent vintage, the year I would choose is 2012 in terms of style and weight. For more on the 2005 vintage in Napa Valley, readers should check out Steve Tanzer’s recently published retrospective. 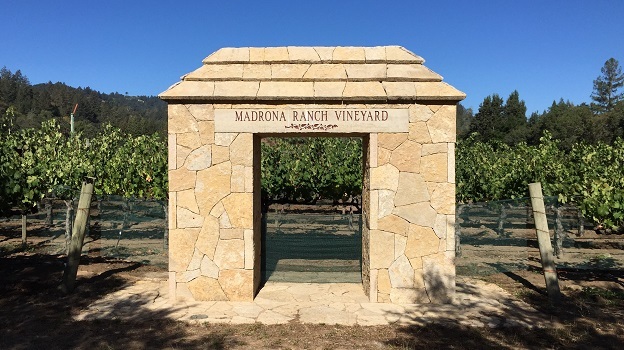 An exotic, alluring beauty, the 2005 Madrona Ranch is totally seductive right out of the glass. Kirsch, raspberry jam, rose petals, mint and white pepper give the 2005 much of its sensual, aromatically intense presence. Vivid yet also light on its feet, the 2005 is super-expressive and open today, and also a terrific example of the style of wine that often emerges from the vineyards in this part of St. Helena. 95/Drink 2016-2026. 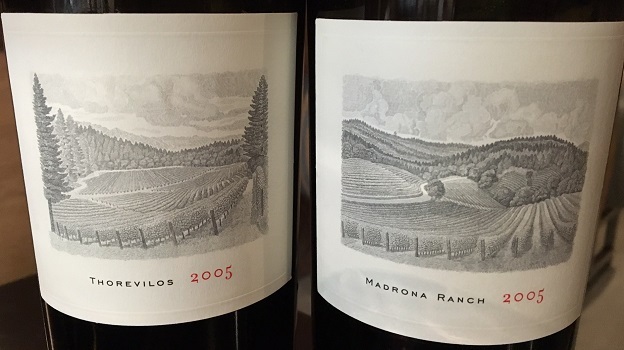 The 2005 Thorevilos is darker and also quite a bit richer through the middle than the Madrona Ranch tasted alongside it. Black cherry, plum, mocha, violet, spice and menthol are fused together in an intense, deep wine endowed with real depth and plenty of explosive energy. Even with all of its thrust, the 2005 is not at all a blockbuster, as some vintages can be. Rather, the 2005 is a wine that speaks to finesse and polish above all else. Readers lucky enough to own it can look forward to many years of pure drinking pleasure. 97/Drink 2016-2031.